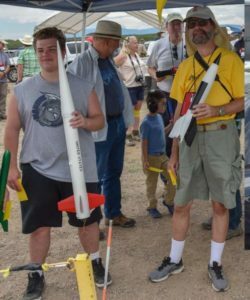 HARA was represented at NAR’s 60th annual meet and rocketeer reunion in Pueblo, Colorado in August by Allen Owens and Vince Huegele. 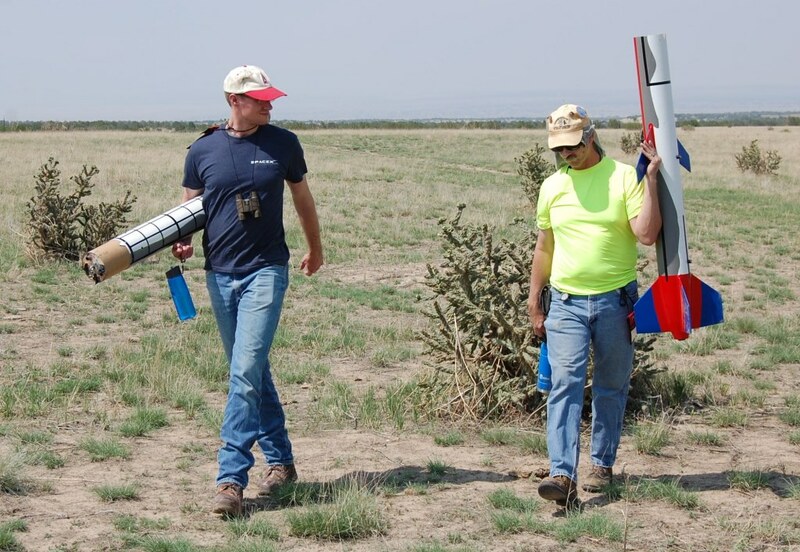 Vince was there for the BOT meeting and Allen was there to fly his level 2 scale Tomahawk, the Long Tom. 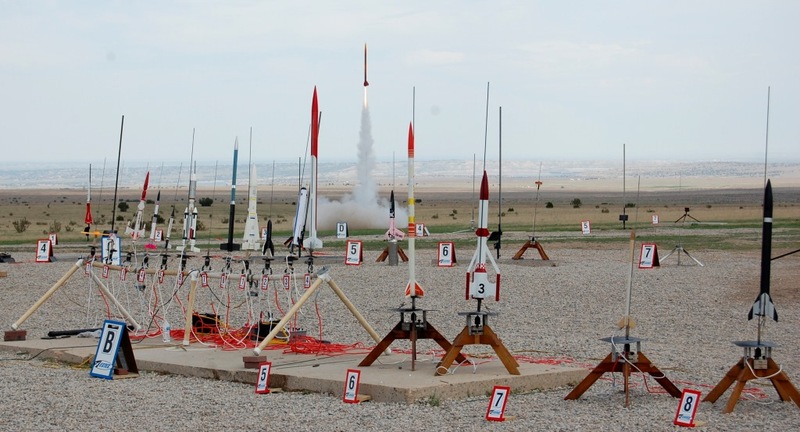 The weather was great and the field was greater allowing the launch and recovery of all manner of sport rockets. 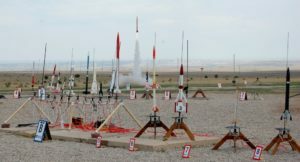 Allen’s flight was excellent, and higher than predicted. 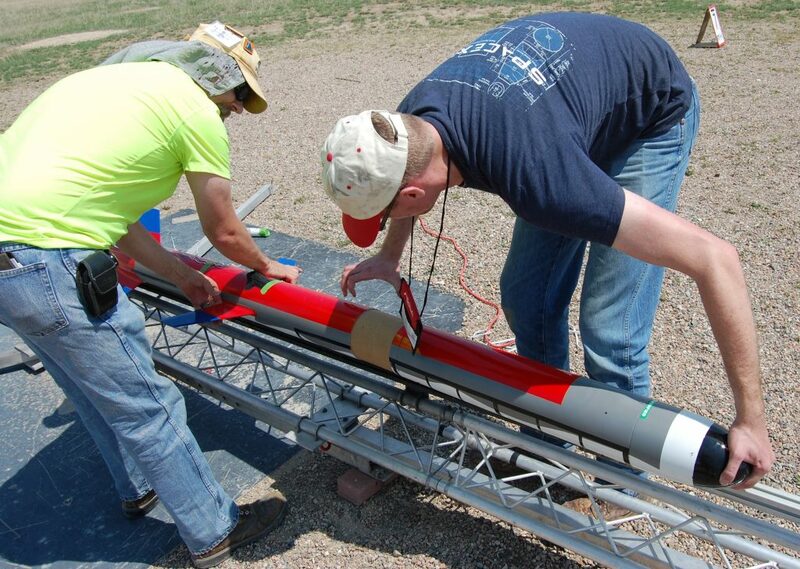 Vince made two nominal flights on a Spacemonkeys plastic V-2 converted to fly on 24mm motors. Allen loads his rocket on the away pad rail with RSO help. 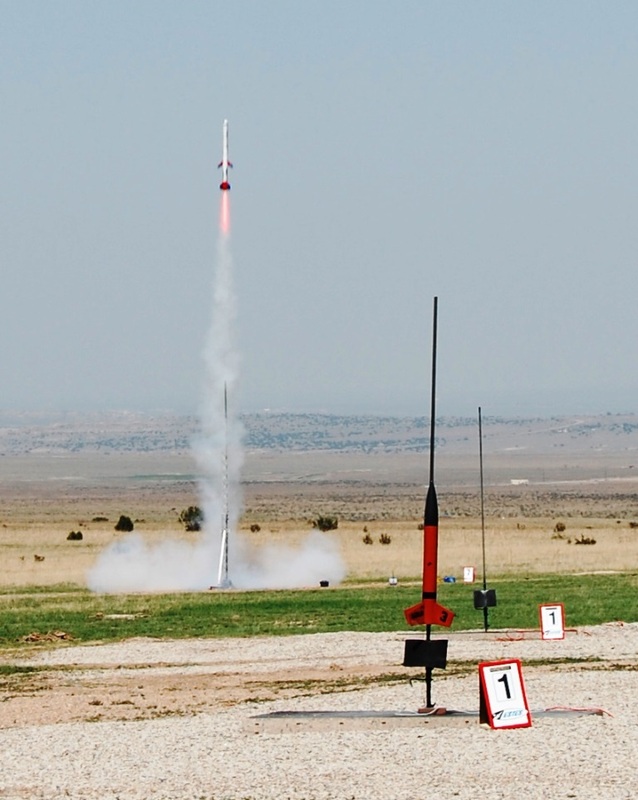 Long Tom ascends on its maiden flight. All the pieces were recovered. 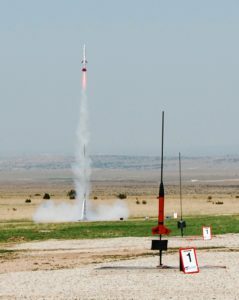 An N powered rocket takes off in the background, but from the camera’s perspective it’s the same size as the C powered models on the rack. 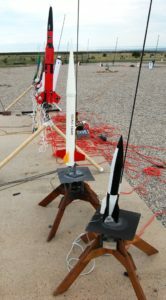 An imaginative hybrid of the Red Max and a Saturn V on the rack with the V-2. 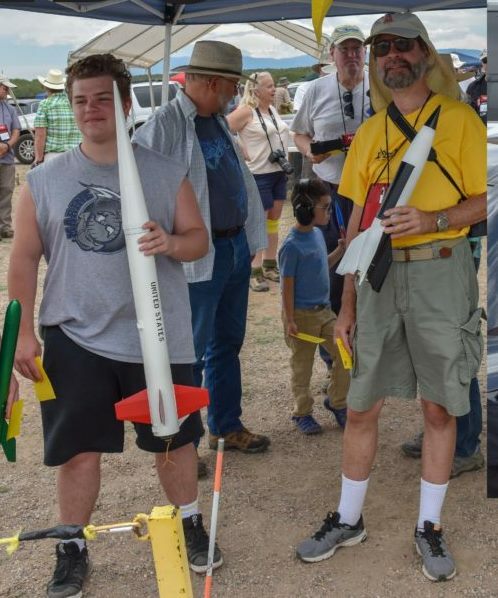 Vince in the crowd after flying his V-2.